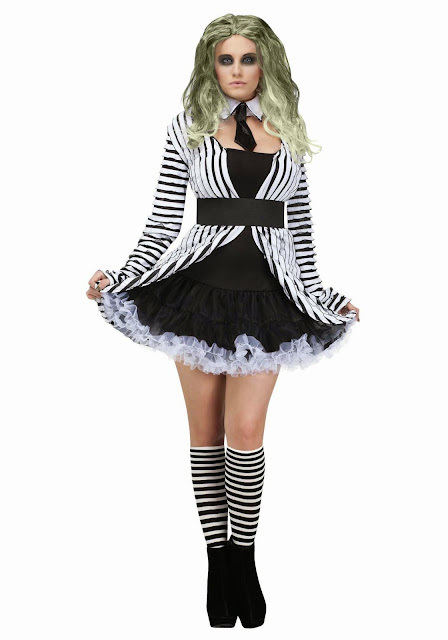 Here's another variation on the Beetlejuice costume for women. Maybe they're coming out with so many extra ones now that we know for sure Beetlejuice 2 will happen? Anyway, this one comes with the skirt and dress, black satin sash waist, and the collar. It doesn't come with the cool striped stockings though. I like the tutu style skirt.